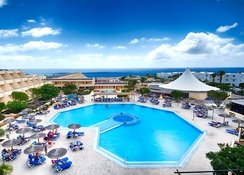 Hotel Coronas Playa is a modern 4-star hotel ideally situated in a seafront location near Playa Bastian Beach in the Resort Costa Teguise, Lanzarote, Spain. This brightly furnished, spacious and comfortable hotel offers generous sized rooms with a peaceful and relaxing environment. The Hotel Coronas Playa welcomes guests of all ages whether couples, honeymooners, friends or families to enjoy a relaxing vacation in the peaceful atmosphere and get themselves entertained at the hotel’s Pavilion Club where TUI entertainment team organizes different evening programs. The hotel’s restaurant serves delicious buffet meals and offers a varied menu with all types of cuisine options. Different sports and leisure activities are provided here such as tennis, squash, darts and exciting water sports. The hotel provides 24-hour reception and room services to their guests. The hotel is located at a seafront destination in Costa Teguise near the Playa Bastian Beach. The restaurants and bars nearby are 20 km away from the hotel. 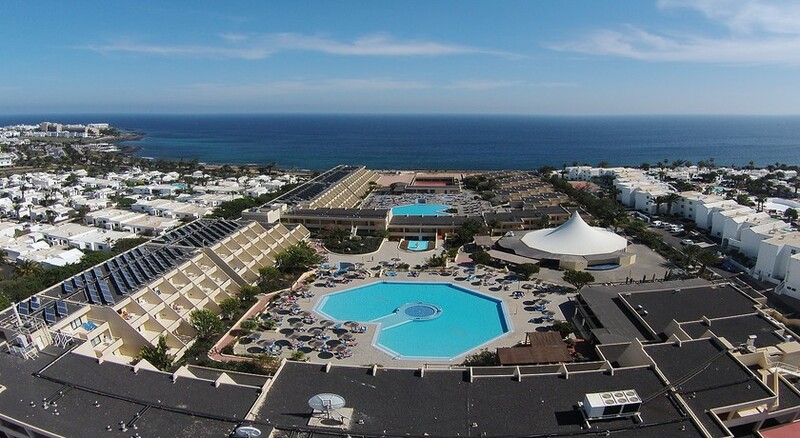 The hotel is 1 km away from the Costa Teguise Resort centre and the beach. The bus stop is 70 metres away, where buses run every 20 minutes to the resort centre, Arrecife and Puerto del Carmen. 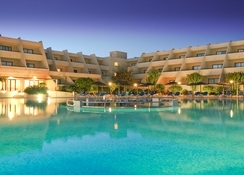 The hotel is approximately 16 km from the Lanzarote Airport and it will take 15 minutes to reach. 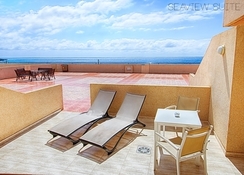 Hotel Coronas Playa offers a choice of Suites with Sea views and Garden views. Rooms are categorised as Standard, Twin, Select, Garden view Suites and Sea view Suites. Twin rooms are spacious and full of light with modern furnishings and all essential amenities. These rooms have a lovely terrace or balcony. Select rooms have been given a luxurious touch with elegant décor. These rooms are spacious and have large balconies with loungers where guests can lie back and enjoy the stunning views of the pool or the sea. 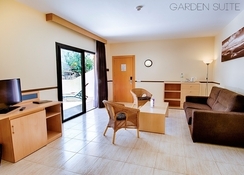 The Garden view Suites are designed with elegant décor and are present near the well maintained intimate Canarian style gardens. These rooms have separate lounges and can accommodate up to 4 people. The Sea view Suites are situated at places offering unobstructed ocean views. These rooms have their own entrance and private terraces. All rooms are air-conditioned having a TV, telephone, coffee/tea facility, hairdryer and safety deposit box. 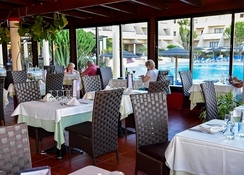 The Crown restaurant at the hotel serves buffet style meals and offers a wide variety of cuisines such as Spanish, Italian and regular Canarian dishes. There are themed nights and weekly gala dinners held at the restaurant. The two poolside bars serve refreshing drinks and ice cold beer to the guests. There is a famous bar at the hotel called The Monkey Bar where live music is performed many times a week and offers televised sporting events. The hotel has two large outdoor pools surrounded by sun terraces giving enough space for relaxation. Sports activities include table tennis, giant chess, darts and pool table. The evening entertainment is provided by the Pavilion Club where the TUI Entertainment team provides high quality evening entertainment shows and professional acts. The music band performs songs from the 60s as well as latest hits and the guests can get on the dance floor or sit back and enjoy the music. The bright reception area is a good place for reading a newspaper or surf the web in the internet centre. The hotel staff is friendly and helps the guests with all queries during the stay.